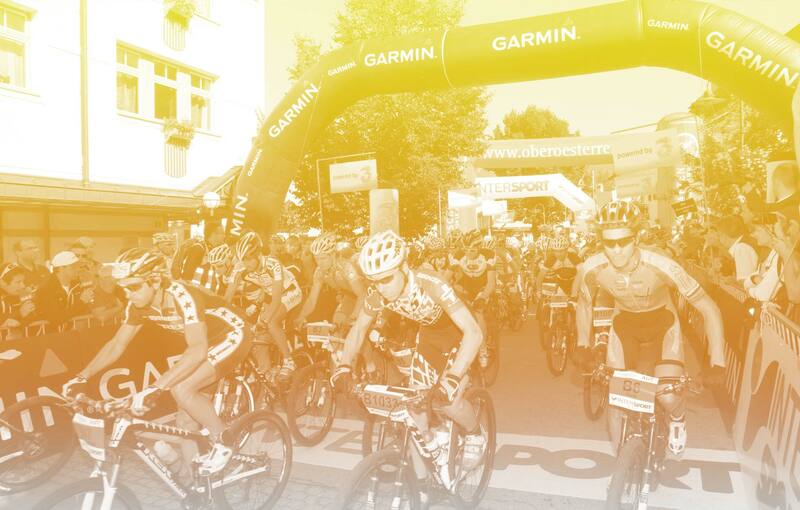 Arrive in time – enjoy your stay - be relaxed at the starting line! Our B & B partners are located in Bad Goisern and vicinity. They offer great service and every imaginable amenity for your race preparation; most of them provide lockable rooms for your bikes! At some places you may take your bike even to your room. There are great camping sites in Hallstatt and Obertraun as well as Wolfgangsee. 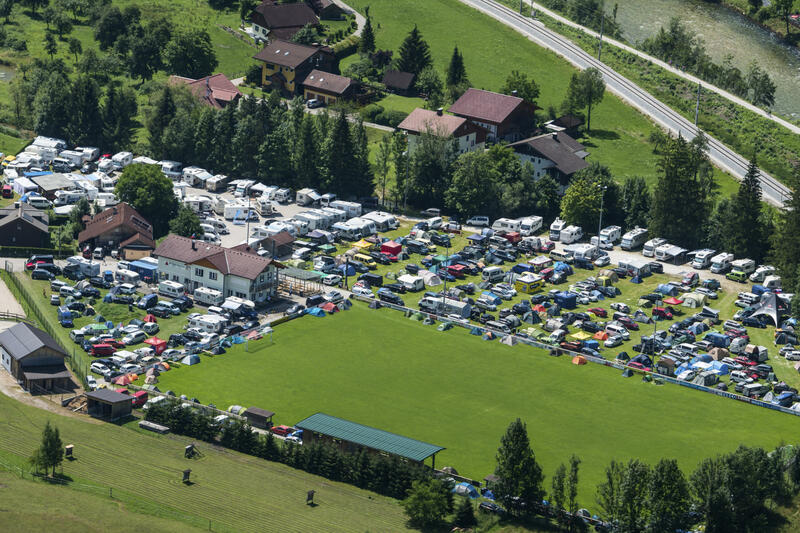 During the Trophy the Bad Goisern soccer field turns into a camping site, there is also space for motor-homes. The Salzkammergut is located about 60 km east of Salzburg, and easy accessible by car or train. The train stations in Bad Goisern, Bad Ischl and Obertraun are only 500 meters from the start! International airports are Munich/MUC (200 km) and Vienna/VIE (300 km) as well as the local airport in Salzburg/SZG (60 km) and Linz/LNZ (90 km). The Goiserer TAXI 4242 is providing a shuttle service from Salzburg Airport to Bad Goisern. Check out the special trains by the ÖBB! Free transportation including the bike when travelling from the hotels along the Traunsee, in Bad Ischl, Obertraun, Bad Mitterndorf or any village in-between to the three start locations! 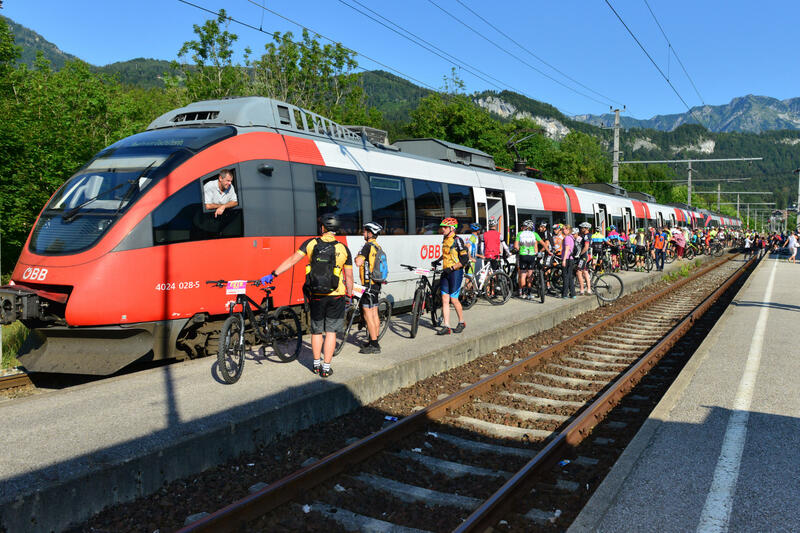 From Obertraun, Hallstatt and Gosau there will be an additional Taxi-Service to Bad Goisern for only 5,- Euro per person - bike transportation is for free! Please make sure to pre-book before July 12th in order to secure your seats, otherwise no guarantee! Just send us an email with the names of the passengers, number of bikes, place of departure i.e. name of hotel and departure time as well as a mobile phone number to shuttle@trophy.at or call +43 (0)5/95095. We will inform you about meeting points and time! With four persons or more a pick up from hotel is also possible! Passengers please be ready five minutes before departure otherwise the seats may be given to someone else! Return shuttle at the race day is available from the parking lot “Goisern Mitte" until 11:00 pm.